LANSING, Mich. - Leading aftermarket suspension specialist Air Lift Company has reengineered its heavy-duty LoadLifter 5000(tm) and LoadLifter 5000(tm) ULTIMATE air spring kits to support and protect late model Ford F-250 and F-350 pickup trucks. The redesigned heavy-duty air spring kits feature a new lower bracket assembly to make them quicker and easier to install. LoadLifter 5000 is Air Lift's heaviest-rated air spring product line and is specifically engineered for hauling or towing heavy loads with 1/2 ton, 3/4 ton and one-ton pickup trucks, motor homes, commercial trucks and vans. LoadLifter 5000 ULTIMATE offers all the benefits of the LoadLifter 5000 but with the addition of an exclusive internal jounce bumper, which provides added shock absorption and extra protection for heavy loads. LoadLifter 5000 and LoadLifter 5000 ULTIMATE air springs are designed to fit both single rear-wheel and dual rear-wheel vehicles. Kits are also for Class A, B and C motorhomes and for demanding applications such as wreckers, ambulances, and construction and utility trucks. The LoadLifter series works with the vehicle's existing suspension to deliver up to 5,000 pounds of load-leveling capacity and is air adjustable to keep vehicles stable, level and comfortable whether loaded or unloaded. Included in each kit are exclusive Air Lift roll plates, which protect the air springs from sharp edges and increase load capacity up to 10 percent. For convenient and easy inflation and deflation of the air springs, Air Lift offers fully automatic, wired and wireless on-board air compressor systems. All Air Lift products are backed by an industry-exclusive lifetime warranty which covers the entire contents of the air spring kit, and the company also ensures satisfaction with a 60-day money back guarantee on load support air springs and on-board compressor systems. 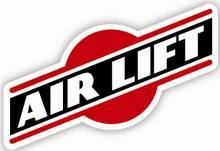 For more information about Air Lift's LoadLifter 5000(tm) and LoadLifter 5000(tm) ULTIMATE series, visit https://www.airliftcompany.com/products.